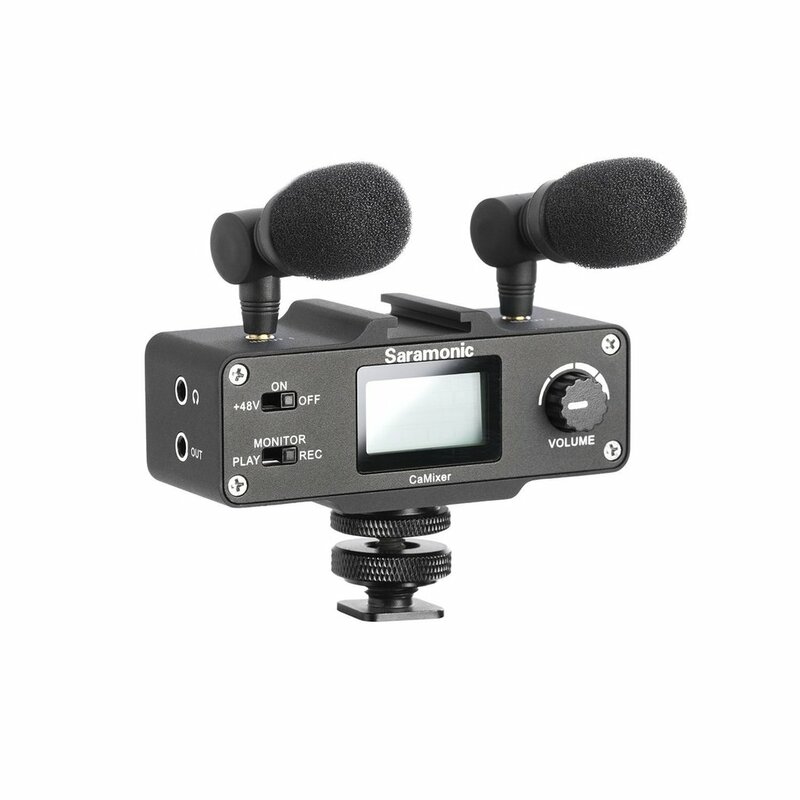 The built-in microphones on DSLR, mirrorless, cinema and video cameras sound terrible, but if you use the Saramonic CaMixer with your camera, your audio will be elevated to broadcast quality. The CaMixer supplies you with two excellent-sounding condenser microphones, and you can also use the XLR microphone of your choice. A built-in headphone jack lets you listen to everything you shoot, and the entire package is compact and ultraportable.